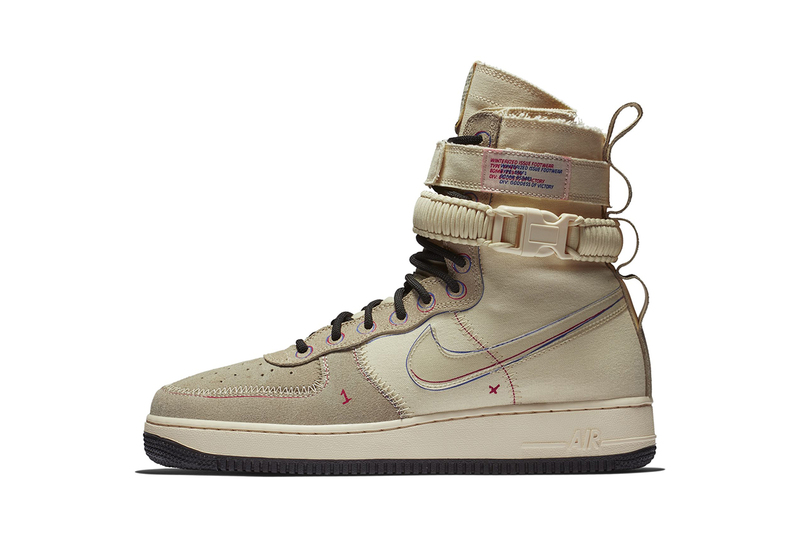 The latest of a multitude of seasonal re-imaginings, Nike‘s SF AF-1 silhouette has received a special makeover inspired by factory seconds. The SF-1 is offered in Muslin/University Red/Light Concord colors, boasting a variety of thematic details made to look like material notes or corrections directly on the final sneaker. Slim threads encircle the eyelets and Swoosh, with raw seams adding extra industrial flair. Messy prints around the upper further highlight the work-in-progress motif: these include a scribbled “1” and “x” at the midfoot, and misprinted tag on the top buckle and insole. To complete the sneaker, the Nike tag has been reversed, with the care details left on the outside. Keep an eye on Nike’s site for the new colorway to surface shortly. Elsewhere, the SF AF-1 High received a Realtree makeover. A new leak off the ‘Evil Genius’ LP. The 10-time All Star is out after 10 games. In celebration of its new Latte de Leche 2.0. A taste of her debut solo LP.